For any questions about cylinder heads, please email or call Matt Gettelfinger at 502-876-9654. You can also reach Tom Mann at 502-592-8415. 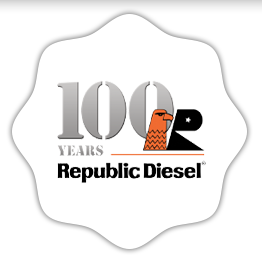 Republic Diesel performs work on cylinder heads of all major engine manufactures including Caterpillar, Cummins, Detroit, Mack and Navistar for the mining, hauling, industrial or gas markets. All cylinder heads can be cleaned, pressure checked, and magnafluxed to check for cracks. The customer has two options for repair. The first is a “steam, clean and test” this insures that the valves hold a vacuum, the tubes don’t leak and the cylinder head is not cracked. The valves are not removed from the head and the springs are not checked for tension. This repair is simply for customers who have a head gasket leak and want to insure their head is not cracked. There is no warranty on this repair. The second is a complete overhaul of the cylinder head. Below is a list of repairs that can be performed.